﻿PLANS ARE CURRENTLY UNAVAILABLE as I move shop to New England. I apologize for any inconvenience this may cause. This page will be updated once I'm up and running again. 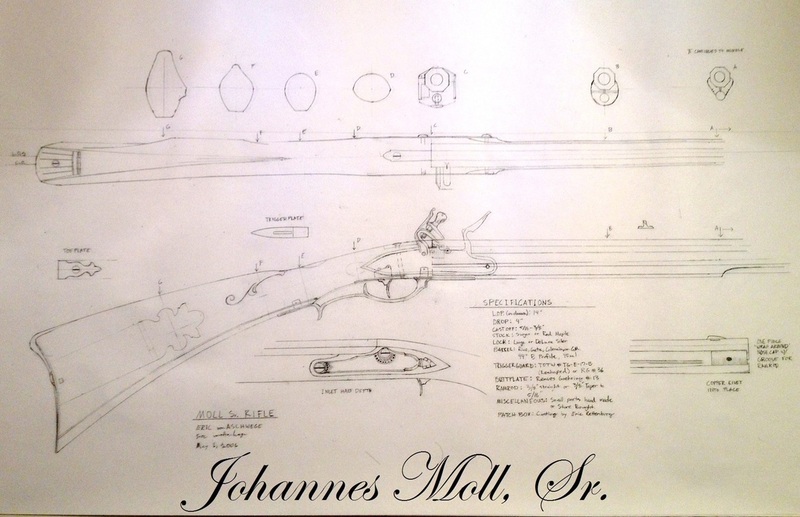 My rifle plans are printed on 24”x36” white paper, and show the full-scale lock side, cheek side, and top view of the rifle, as well as cross-sections of the forestock, lock, wrist, and buttstock. Details of the sideplate, triggerguard, buttplate, patchbox, and other small parts are typically drawn to scale. 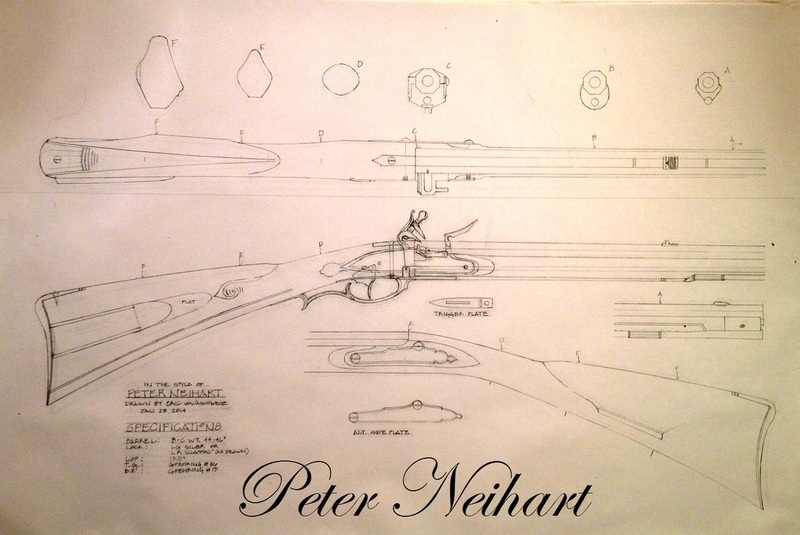 Some of my plans are based upon photographs of original guns, while others are drawn from actual measurements I have taken. 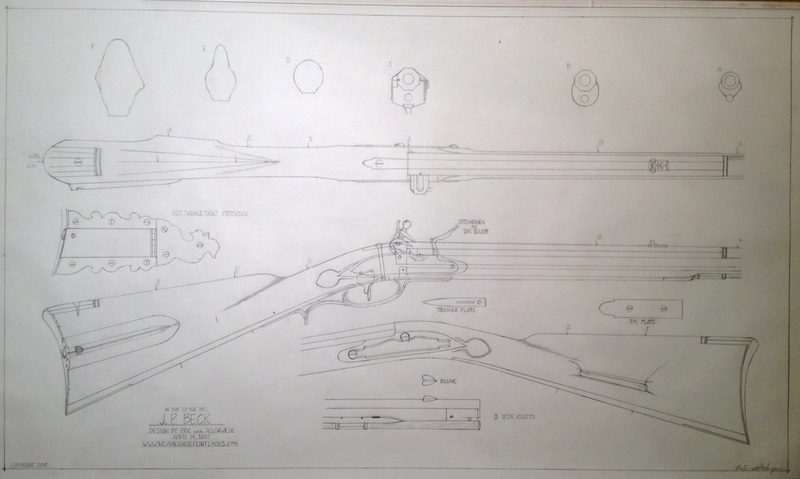 Typically, plans are drawn as a "blend" of two or more original arms by a period maker. In special cases, owners of original guns have asked me to omit certain key identifying details. In these instances, the exceptions are noted and details in the style of the original have been drawn in place. 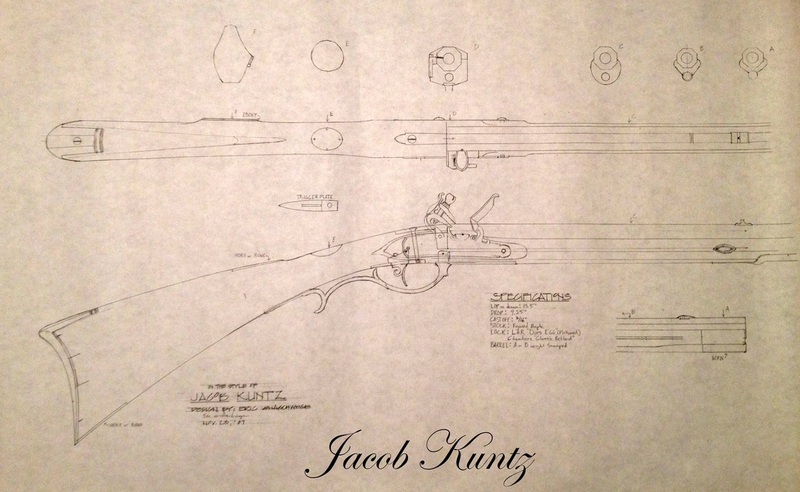 Plans not only serve as excellent study guides for those looking to branch into building a unique rifle from a blank, but also provide you with the lines and details needed to produce a truly authentic and aesthetically pleasing piece. Paper does not generally last long in a workshop environment, and those who purchase plans are granted permission to make as many copies as needed for strictly their own use. Prices include shipping in a mailing tube. lock, set triggers, subtle radius to comb. Andreas Albrecht, Christian's Spring, 1770s. ​1 1/8" breech, Colonial American lock, heavy stepped wrist. 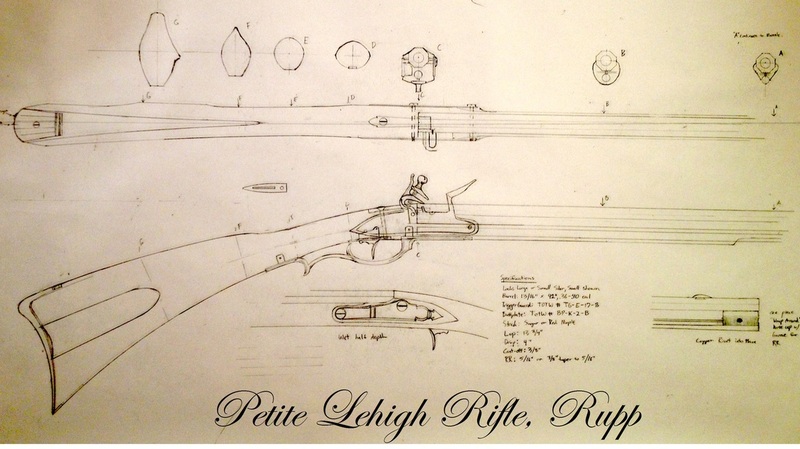 Large early rifle with straighter architecture than later Lehigh rifles. 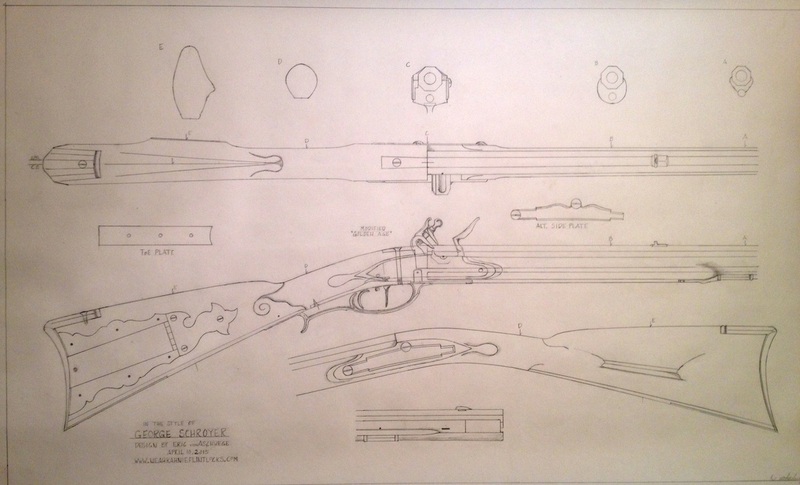 Large rifle with 1" or 1 1/16" breech. Drawn with Lg Siler lock. 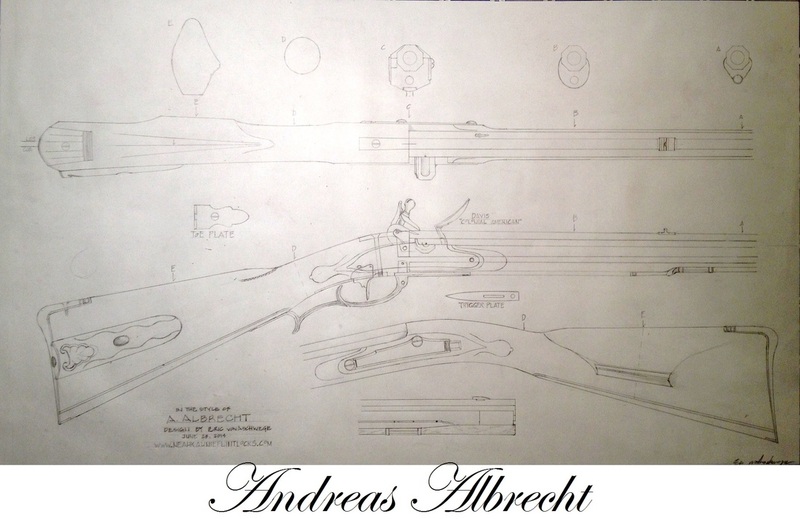 Large siler, 15/16" breech, drawn with patchbox (not shown in image, plan has been updated). ​13/16" barrel, Small siler lock. Barrel dimensions not based on original. 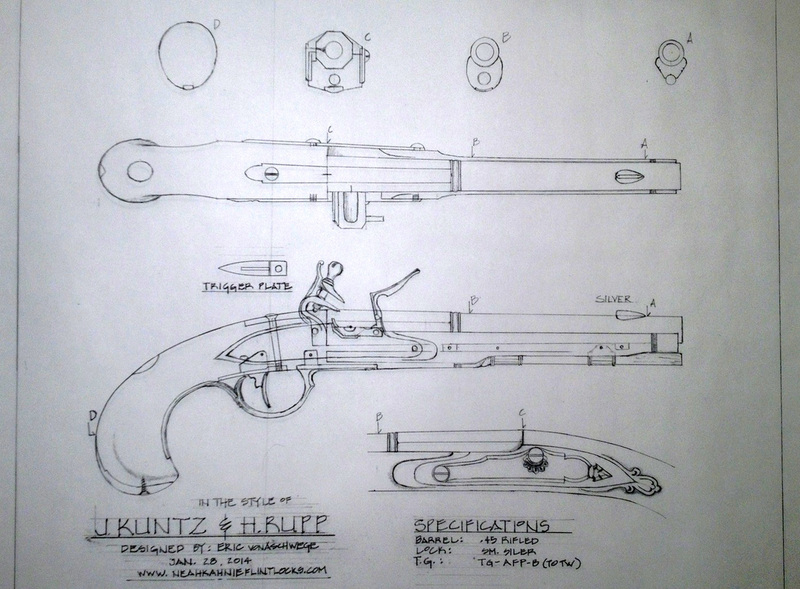 Lehigh Valley Pistol, In the style of pistols by J. Kuntz & H. Rupp. ​Sm Siler lock drawn, John Bailes also appropriate. 8 1/2" barrel with 7/8" breech. 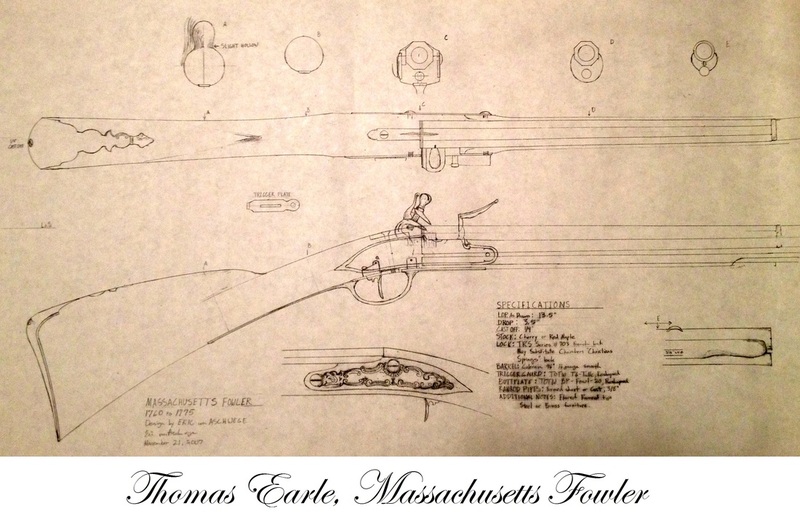 Thomas Earle, Massachusetts Fowler, 1770s. 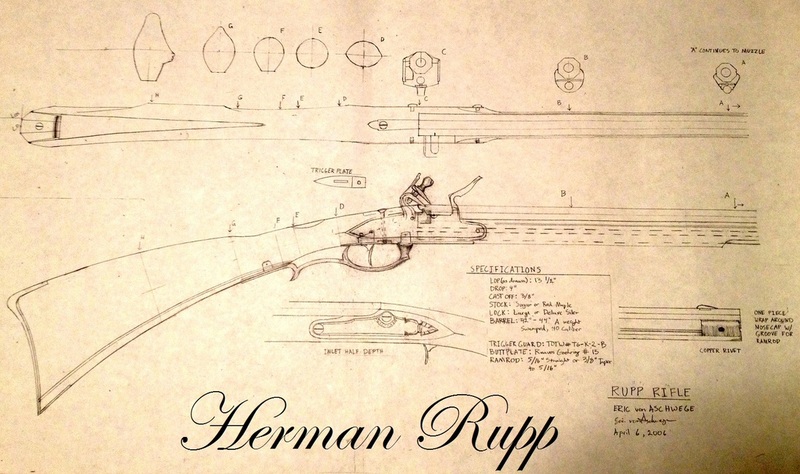 Drawn with TRS 703 French lock, substitute Chambers roundface or modified early Germanic lock.